If you’ve tried some basic troubleshooting for your Google Glass, but you haven’t been able to resolve your problem, you can seek out help from Google. 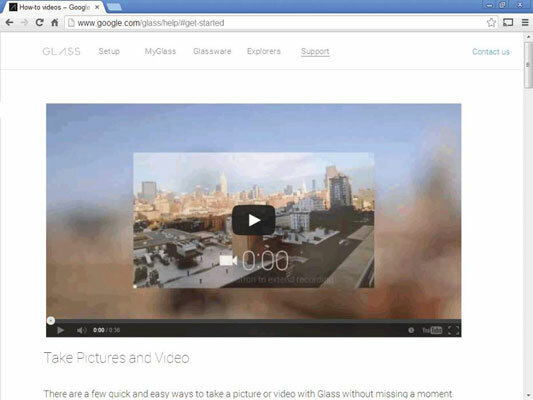 You can get help on the Google Glass Help site. The help website includes how-to videos and articles. On this website, you can find tutorials; check for potential solutions to your problems; talk to other users in the Glass Community; or get live, one-on-one help for free from a Glass Guide by calling (800) 452-7793 (a toll-free number) from 5 a.m. to 9 p.m. Pacific time.